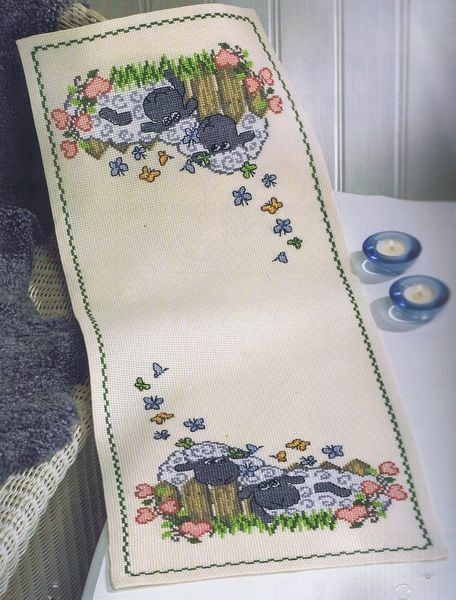 Two cartoon sheep with hearts and butterflies at each end of this long table mat. The kit has a large scale black and white chart printed 10 stitches to one inch on an A3 sheet showing half of the design. The pattern is stitched in whole cross stitch and backstitch using 15 shades of stranded cottons over 110 by 300 with the sheep motif over 100 by 55.